smartStage 20: THIS IS NOT A STAGE FOR BEGINNERS, IT'S A SMALL STAGE. The smartStage 20 is the smallest member of our stage family, but it has the same genes like her bigger sisters. 21 sqm covered stage area offers focus and protection to smaller bands, personal acts, self-exposers and speakers. 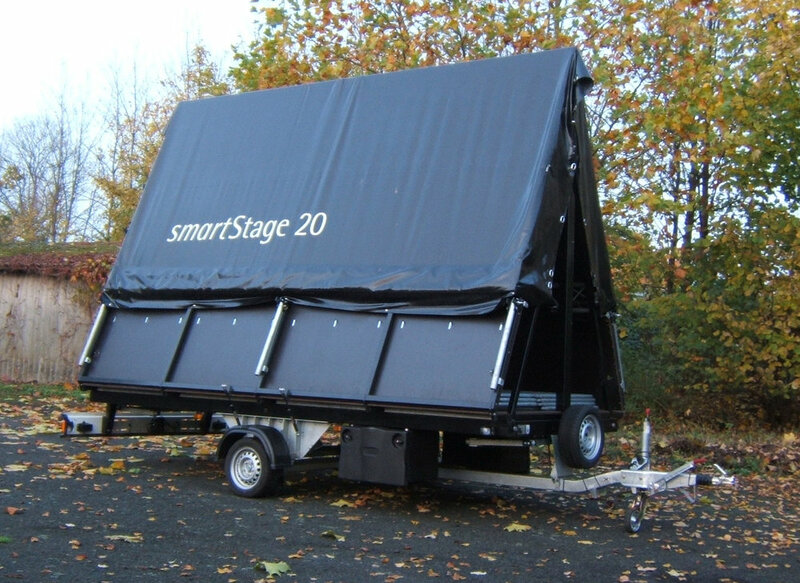 Most of extensions that are offered for bigger stages can be attached on the smartStage 20 as well.